Montreal is a city bustling year-round with a number of cultural events and celebrations, concerts, performances, and community engagement activities. However, each May, mostly due to spring's long-awaited arrival, the city really starts to heat up with dozens of outdoor events and things to do. While the weather in Montreal is considerably warmer throughout most of the month, remember to pack a light jacket and raincoat as May can be rather wet and the temperatures still dip down at night. However, the flowers and foliage are in full bloom, meaning it's also the perfect time to enjoy outdoor celebrations and activities all month long. Known in French Canada as the Festival de Fromage Grillé, over 100 restaurants across the province of Quebec (including Montreal) are offering their own versions of the quintessential grilled cheese sandwich in celebration of the Grilled Cheese Festival. From May 1 through May 7, you can sample sandwiches like the Grilled Cheese Obelix by Brasseur de Montréal, the Taco Grilled Cheese by La Bêtise, Grilled Cheese Gras Hard from​ Le Gras Dur. Unfortunately, the 2017 favorite, the Vladimir Grilled Cheese from Vladimir Poutine Montreal, won't be available this year as the restaurant permanently closed down in early 2018. Montreal Museums Day is an annual tradition when over 40 museums in the city open their doors to the public free of charge. Museums Day takes place on Sunday, May 27, 2018, and not only includes Montreal's top museums but some smaller, independently-funded exhibits and galleries as well. Among museums that will be included in the Montreal Museums Day event for 2018, the Montreal Museum of Fine Arts, Pointe-à-Callière, and the Montreal Science Centre are among the most popular for new exhibits and interactive displays. Galerie Got in Old Montreal and the PHI Centre are also great places to go if you prefer photographic or video art instead. Although it might sound a little sketchy to the American tourist, the Montreal Sketchfest is a week-long festival dedicated to sketch comedy by 60 of North America's most promising sketch troupes from May 3 to 12, 2018. Although a majority of performers for Sketchfest come from Montreal, Toronto, New York, and Philadelphia, the festival also features acts from D.C., Vancouver, Ottawa, Halifax, Vancouver, and Chicago. Admission prices vary by event or package deals (like double-features and weekend passes), and most shows are held at Théâtre Ste. Catherine in Montreal. In 2018, Mother's Day in Montreal falls on Sunday, May 13. Although there aren't really any special events in Montreal for Mother's Day, there are plenty of opportunities for you to make your mom's visit to Montreal extra special. You could take your mom out to a Mother's Day brunch or special holiday tea at one of the city's many tea houses. Alternatively, you could enjoy a day outdoors and take a stroll through the flowers and foliage Mount Royal Park, St. Joseph's Oratory, Parc Jean-Drapeau, Parc La Fontaine, or the Montreal Botanical Gardens. Over 30 bars and restaurants will be serving up over 250 specialty cocktails all week long from May 14 to 20, 2018, during Invasion Cocktail, an annual celebration of Montreal's bar and nightlife scene. Featured bars include 132 Bar Vintage, Bar Palco, ​Bootlegger, Chez Tao, and La Distillerie No 1, and you can download the event passport app free online to get deals on these special creations at participating establishments. Invasion Cocktail also features several events including cocktail workshops, a visit to the Cirka Distillery, and brunch at Perles et Paddock. The Ninth Edition of the Chromatic Festival returns to the Ancienne École des beaux-arts de Montréal on May 26 to June 2, 2018. The festival features a combination of the high tech industry with modern graphics artistry with exhibits including digital installations, photography, virtual reality, and painting as well as art workshops just for kids. There's also an industry-wide conference and parties almost every night of the event. While the emphasis of Chromatic Festival is to bring attention to local Quebec artists, it also attracts a diverse and expansive international crowd and community. 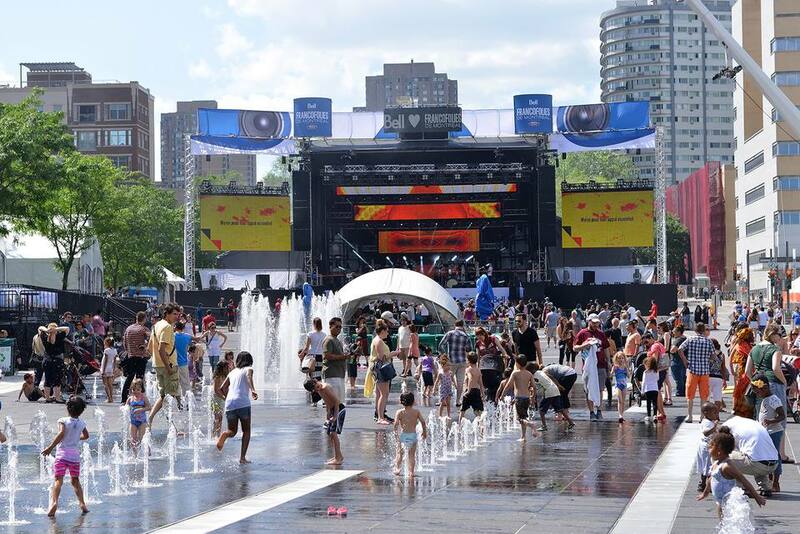 One of the largest celebrations of Latin culture in Quebec takes place each year at the Complexe Desjardins over Victoria Day (Journée des Patriotes) weekend from May 17 to May 21, 2018. The​ annual Montreal Salsa Convention features workshops, pro dance showcases, free dance classes, and multi-level competitions all in one place. With four days and nights of shows, parties, and feasts, as well as over 30 workshops, the Salsa Convention features international and local talent include amateur and professional dancers, DJs, and musicians.